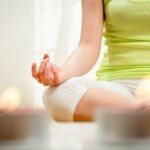 Plenty of research has proved that meditation and yoga can lower blood pressure, improve mood, counter stress, and benefit your mental and physical health. Now a new study has shown for the first time that these ancient centering practices can actually affect your genes, turning beneficial ones on and harmful ones off. Researchers analyzed the genes of 26 volunteers who were unfamiliar with meditation, and then taught them a 10 to 20 minute meditation routine that involved rhythmic breathing, chanting, and focusing the mind. 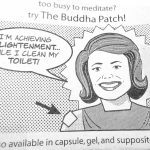 Cartoon – Too Busy To Meditate?